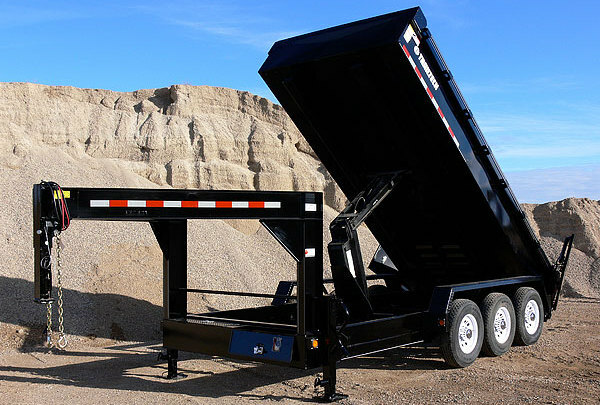 Dump Trailer Series byTrailtech Inc. 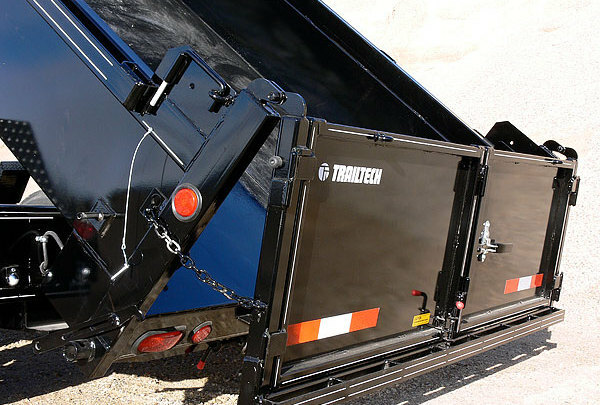 Dump Series « Trailtech Inc. 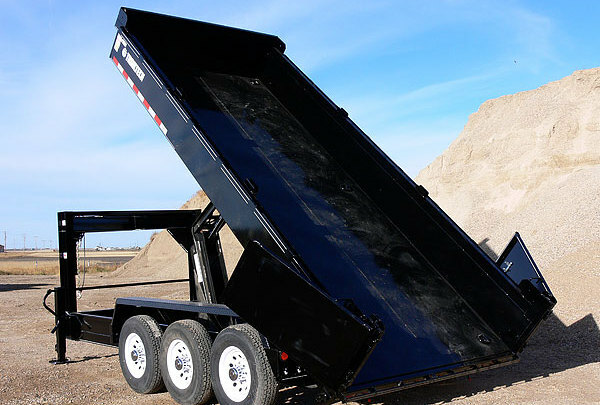 The Dump series include a range of models, all designed to meet your specific needs. 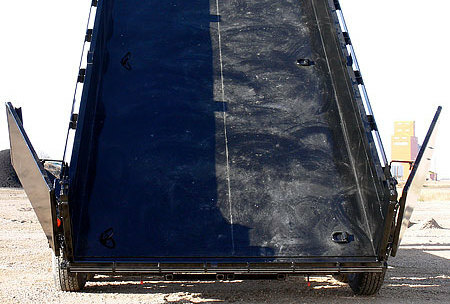 Slide in ramps make these trailers ideal for loading and hauling your equipment, and store conveniently under the trailer when not in use. 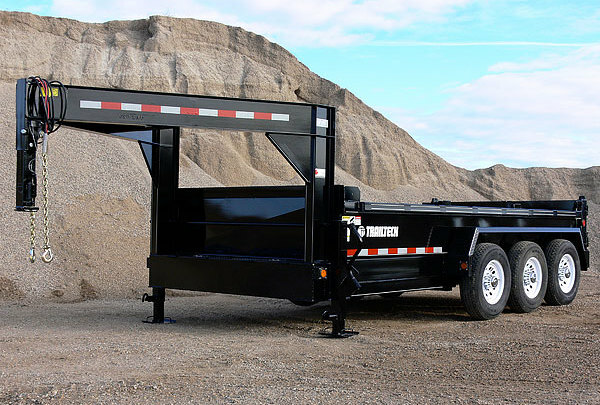 The two-way tailgate features a rear double door and spreader gate, allowing for fast unloading of your materials, or a more controlled flow if you prefer. 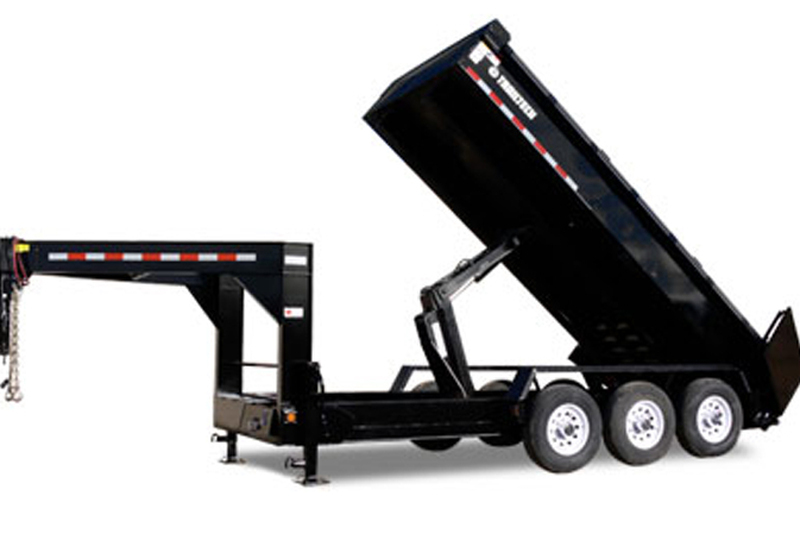 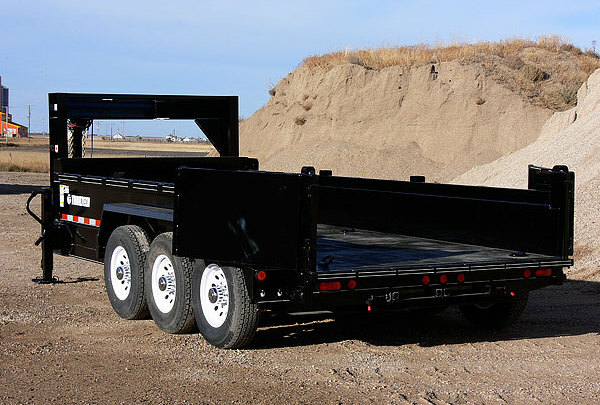 The versatility and convenience of these trailers give you maximum control and the ability to use the product as a handy dump trailer or a flat deck trailer with complete ease. 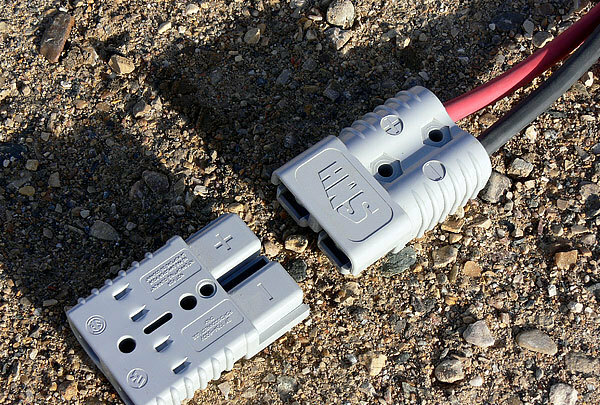 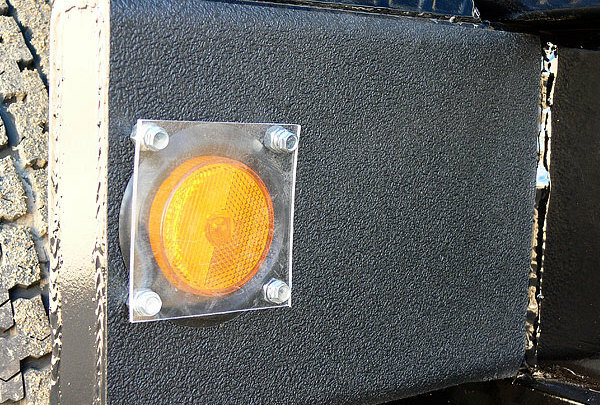 All models have the following standard features: LED Lights. 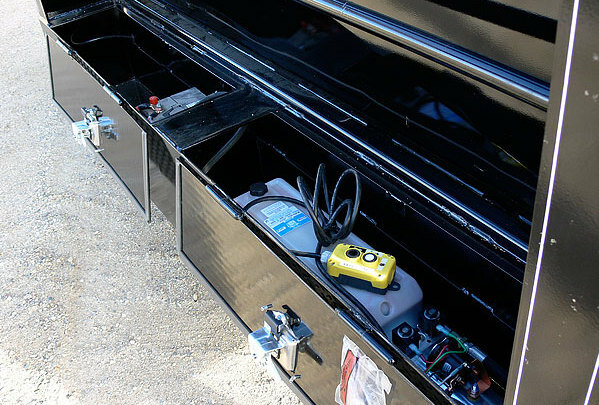 Two way electric/hydraulic power pack with 10’ hand held, gives control and safety when unloading, ensuring that a variety of equipment can be accommodated. 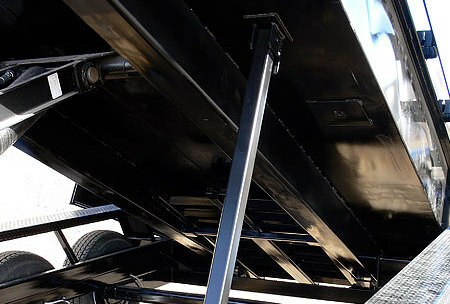 The heavy duty high lift hoist provides stability, strength, and optimal dumping angle. 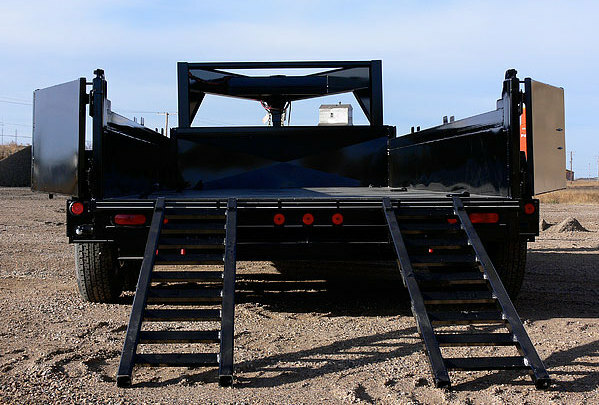 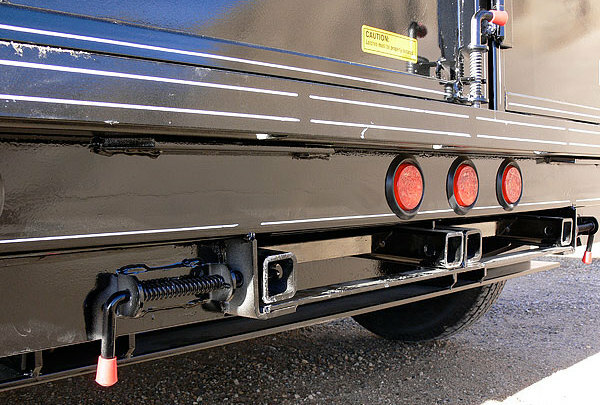 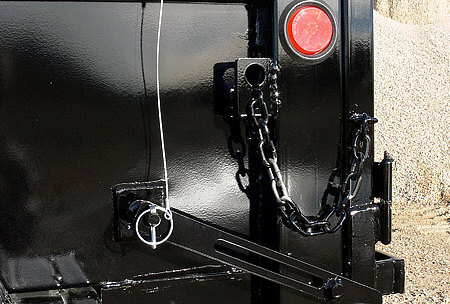 The versatile two way tailgate incorporates a spreader gate for even flow of material, and barn doors for equipment loading. 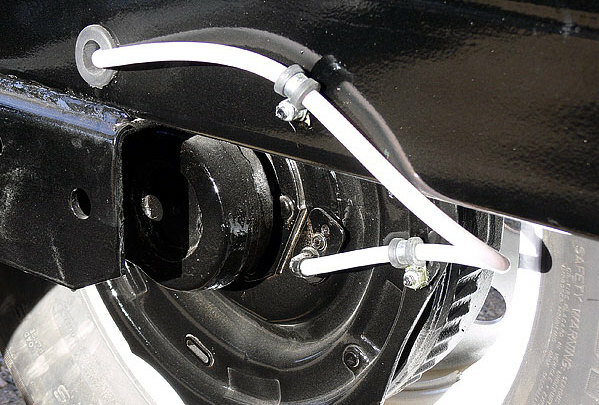 The adjustable coupling and HD dropleg jack allows for choice of coupling, ease of hook up and ability to tow level loads. 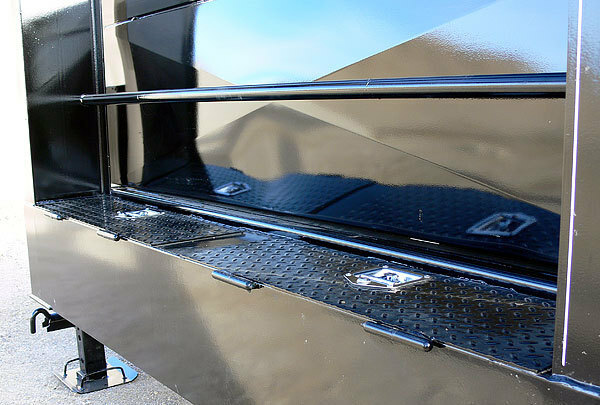 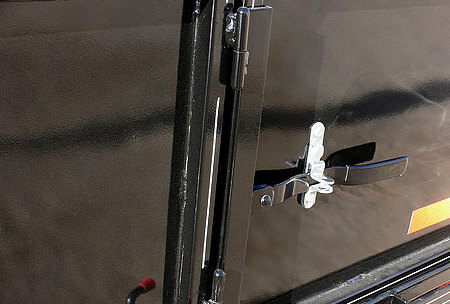 The heavy duty jeep style checker plate fenders are designed for long lasting durability and strength. 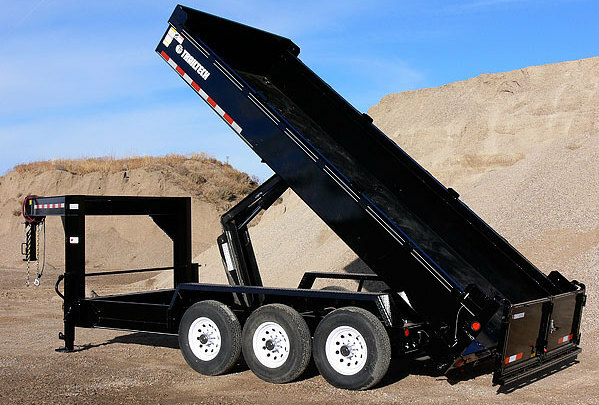 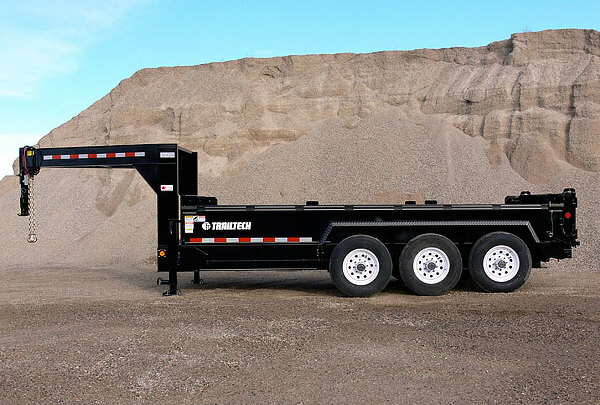 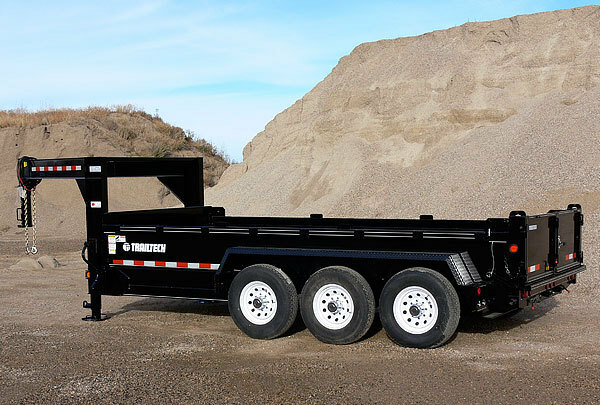 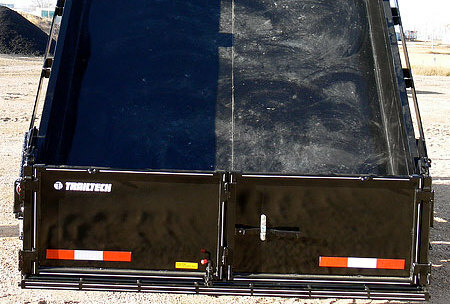 Designed for the gravel industry, the dump box provides lower deck height, cleaner flow, and increasedstability.